Tracking a 2017 Audi R8 V10 - The Co. Specifically, it’s a 2017 Pre-Production German-spec Audi R8 V10. And also – it was my 1st time around the big track at Mosport. I am ruined. I participated in the pilot program of Audi’s all-new sportscar experience. This wasn’t a media event. It was 20 owners & enthusiasts, I was the only auto journalist. I hoovered lunch so I could do this photoshoot. It was also the most efficient drive event I’ve ever attended. They kept us moving quickly between the cars to maximize seat time, which was a lot. Not gonna lie – I was nervous. Same thought kept repeating in my head, “do not crash the pre-production car, Keri.” That’ll land you on the cover of Jalopnik, omg please no. Considering I trained my co-driver how to operate my camera gear while driving 150 km/h, not bad eh. 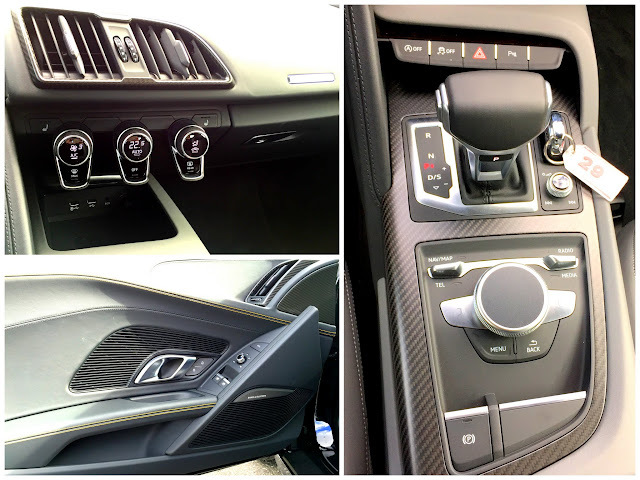 It’s the fastest production Audi ever. How’s it handle compared to the 2015 R8? The 2017 has more grip, the additional about 50 hp makes a real difference, and the new interior is fantastic – see ya later dash screen. But let’s be real here – I’m not experienced enough to give you a proper assessment of the two. The Audi instructors are though – they’re some of Canada’s most decorated racers. There’s 5 big difference between the 2015 and 2017. Holy woah to turn 5. 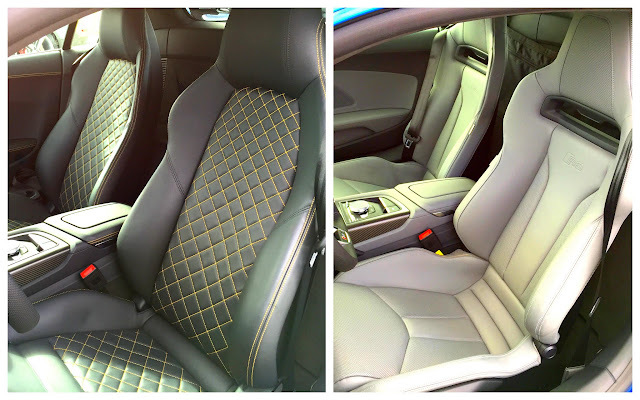 Choose between the quilted seats, or upgrade to RECAROs. I can’t comment on a preference, I was floating the entire time. For a detailed account of the day, read my story over at The Co, a new Canadian outlet where I maintain the auto section. Having an engine this large behind me ohhh, I liked that. The 2017 R8 will arrive in dealerships about 6 months from now. Audi is expanding their sportscar experience next year, details on their site, or email me. It’s great value – to experience the cars in an environment they were designed for, in a small group for maximum seat time, and instructors that encourage you to push the cars harder. Hand ’em back reeking of tires and brakes like I did, every. single. time. This is an excerpt from the article Tracking a 2017 Audi R8 V10 which originally appeared on Keri Car Talk.